A comfortable boot for everyday outdoor use in winter. 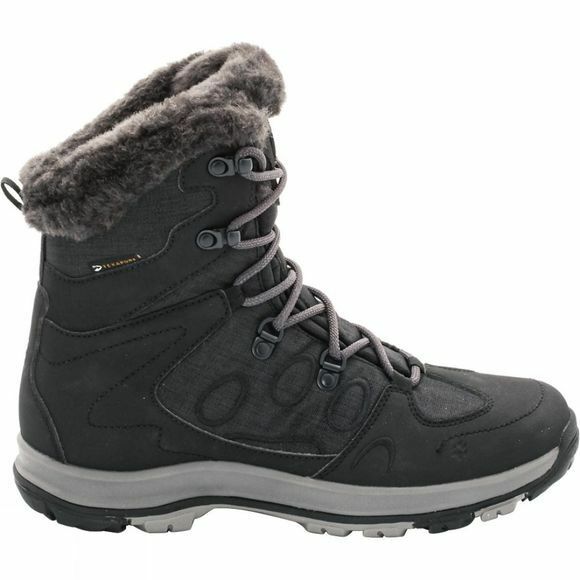 The Women's Thunder Bay Texapore Mid Boot is waterproof and insulates down to around -20°C. The upper is made from easy-care synthetic materials and provides good support at a light weight. For an extra portion of warmth, Jack Wolfskin have incorporated their Nanuk fleece lining. Inside, the Texapore membrane provides reliable protection from water ingress.